SB 1044 was the product of the work of state Sen. Jeff Brandes (R-St. Petersburg) and several other lawmakers and Florida's law enforcement community, all of whom worked together to forge a compromise language that restores due process and protects private property. The bill passed both chambers of the Florida Legislature without opposition. The evidentiary standard the bill requires -- proof beyond a reasonable doubt -- is the same standard needed to secure a criminal conviction in criminal proceedings. This standard is ideal because no government should be able to take someone's property without making a compelling case that the owner was involved in criminal activity. Unlike other states, where law enforcement can seize property without making an arrest, SB 1044 states that "[a] seizure may occur only if the owner of the property is arrested for a criminal offense" as defined in Florida Statute 932.701. If law enforcement wants to begin forfeiture proceedings against property, a $1,000 filing fee and a $1,500 bond must be paid. The bond will be awarded to the property owner if the government fails to meet the evidentiary standard required under SB 1044. Again, law enforcement worked with lawmakers on the bill and urged Scott to sign it into law. On Friday, Brandes thanked Scott for his action on the bill and said that Florida is now a national leader in forfeiture reform. "Today is a major win for liberty in the Sunshine State because Governor Scott signed landmark civil forfeiture reform. I am proud of the work we did alongside Senator Aaron Bean, Senator Jeff Clemens, Representative Matt Caldwell, Representative Larry Metz, as well as the wide range of stakeholders from our law enforcement community to civil libertarian organizations," Brandes wrote on Facebook. 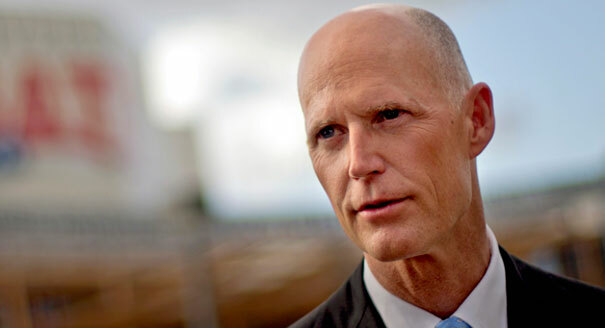 "Florida is once again taking a leadership role in the defense of private property rights, and other states should look to our work and enact similar reforms to protect the rights of their residents." Florida adds to the momentum for civil asset forfeiture reform at the state level. Since the beginning of 2015, several states -- including New Mexico, Montana, Michigan, Maryland, and Wyoming -- have passed forfeiture reform. Others have passed legislation to require stricter reporting on forfeitures. Some reforms are stronger than others, and more can be done to roll back abuse of forfeiture, but each bill passed is a step in the right direction and another sign that the interest in protecting the private property of innocent people is growing in state legislatures across the country.